The global rating agency, which has a non-investment grade rating on Vedanta, affirmed Vedanta Resources’ Ba3 corporate family rating (CFR) and the B2 rating on the senior unsecured notes. “The rating action reflects the heightened risk of cash movement outside Vedanta, following a $561-million structured payment by the company’s operating subsidiary to ultimate shareholder Volcan Investments. As well, our expectations for underlying operating earnings have been lowered, which will lead to elevated leverage for the ratings”, said Kaustubh Chaubal, vice-president and senior credit officer, Moody’s. While viewing the investment in Volacan as credit negative, the rating agency finds the move as diversion from the stated objective. “We view the related-party investment as credit negative for Vedanta and a means to fund the risk appetite of its shareholder, a clear indication of the company’s willingness to deploy cash at Vedanta to support Volcan interests,” said Chaubal. The rating agency expects Vedanta’s operating results for the fiscal year ending March 2019 to be subdued, reflecting softness in commodity prices and elevated costs, especially of aluminium business. With fiscal 2019 consolidated Ebitda in the $3.6 billion-$3.9 billion area, adjusted debt/Ebitda leverage will range 4.0x -4.3x at March 31, exceeding the 4.0x downgrade trigger. 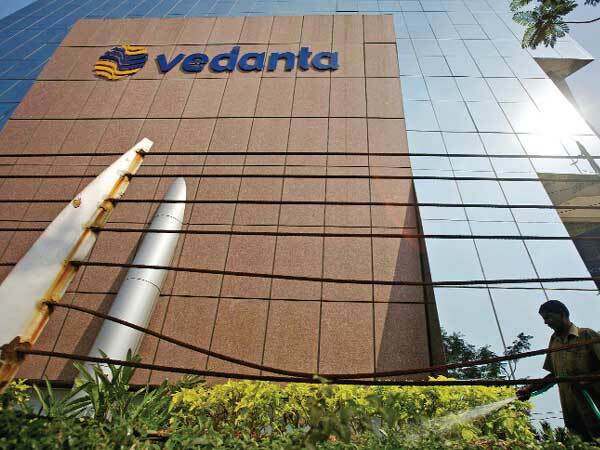 “The negative outlook incorporates our concern that there is an increased likelihood that Vedanta may be used as a financing vehicle for Volcan,” Moody’s said in a report. The negative outlook also reflects Moody’s view that Vedanta’s credit profile will remain sensitive to movements in commodity prices. Moody’s could downgrade the company’s ratings if Vedanta takes on any additional exposure to Volcan, including direct or indirect upstreaming, the report added. The ratings could also experience downward pressure if Vedanta undertakes any large debt-financed acquisition that materially skews its financial profile, or if there is an adverse ruling with respect to Cairn India’s disputed $3.2 billion tax liability. Moody’s earlier ratings on Vedanta were based on the expectation that Volcan will not move cash from Vedanta to provide liquidity to itself. The deferred payment is therefore a clear departure from this expectation, and exacerbates the risk that Volcan will continue to use Vedanta as a financing vehicle. For the 12 months ending 30 September 2018, Vedanta Resources reported revenues of $15.6 billion and operating Ebitda of $3.8 billion.